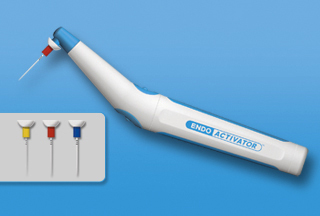 The EndoActivator® is designed to safely and vigorously energize the hydrodynamic phenomenon. Evidence-based endodontics has shown that cavitation and acoustic streaming significantly improve debridement and the disruption of the smear layer and biofilm. Activating fluids promote deep cleaning and disinfection into lateral canals, fins, webs, and anastomoses. A cleaned root canal system facilitates 3-D obturation and long-term success.